A crash this morning in Mansfield, Massachusetts resulted in injuries to at least one driver. The crash involved multiple vehicles and happened around 9:00 am on I-495 near Exit 13 at I-95. Police say that the crash caused injuries requiring medical treatment. Mansfield officers and EMT personnel arrived on scene to treat the injured victims. We do not know the severity or extent of the injuries at this time. The crash caused heavy delays in the northbound lanes of I-495 at the tail end of the rush hour. Traffic was backed up for a considerable distance leading up to the accident. Eventually police were able to clear up the accident scene and traffic flow was restored to the area before 10:00 am. 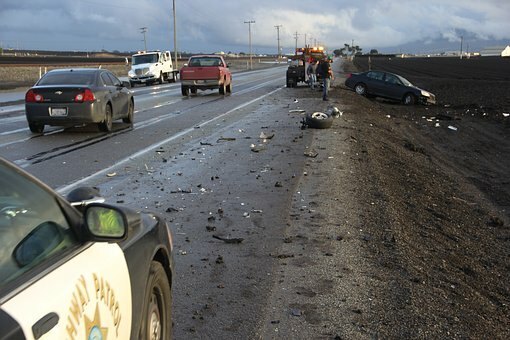 The drivers involved in this crash were not identified. If you’ve been hurt in a collision, you are probably wondering what you should do next. Collisions happen daily across Boston and surrounding areas. They happen suddenly and leave you feeling like you’ve been victimized. You are facing a number of uncertainties about your future. At the Law Offices of Jeffrey S. Glassman, we maintain a robust personal injury practice and have experience in accidents involving all types of vehicles and circumstances. Our team of attorneys knows how to help if you have been injured in an accident caused by the negligence of another driver. Our team is specially trained to help you through one of the most difficult times of your life. We work on a contingency fee basis which means we recover nothing unless you also recover. There is absolutely no obligation on your part even if we take on your case.